Messier 7 or M7 (also designated NGC 6475) is an open cluster in the constellation of Scorpius. Easily detectable with the naked eye, with its declination of -34.8°, it is the southernmost Messier object. M7 has been known since antiquity. First it was recorded by the Greek-Roman astronomer Ptolemy, who described it as a nebula in 130 AD. That's why sometimes it is known as the Ptolemy Cluster. Italian astronomer Giovanni Batista Hodierna observed it before 1654 and counted 30 stars in it. In 1764, French astronomer Charles Messier catalogued the cluster as the seventh member in his list of comet-like objects. English astronomer John Herschel described it as "coarsely scattered clusters of stars". Telescopic observations reveal about 80 stars within a field of view of 1.3° across. At the cluster's estimated distance of 980 light years this corresponds to an actual diameter of 25 light years. The tidal radius of the cluster is 40.1 ly. It has a combined mass of about 735 times the mass of the Sun. 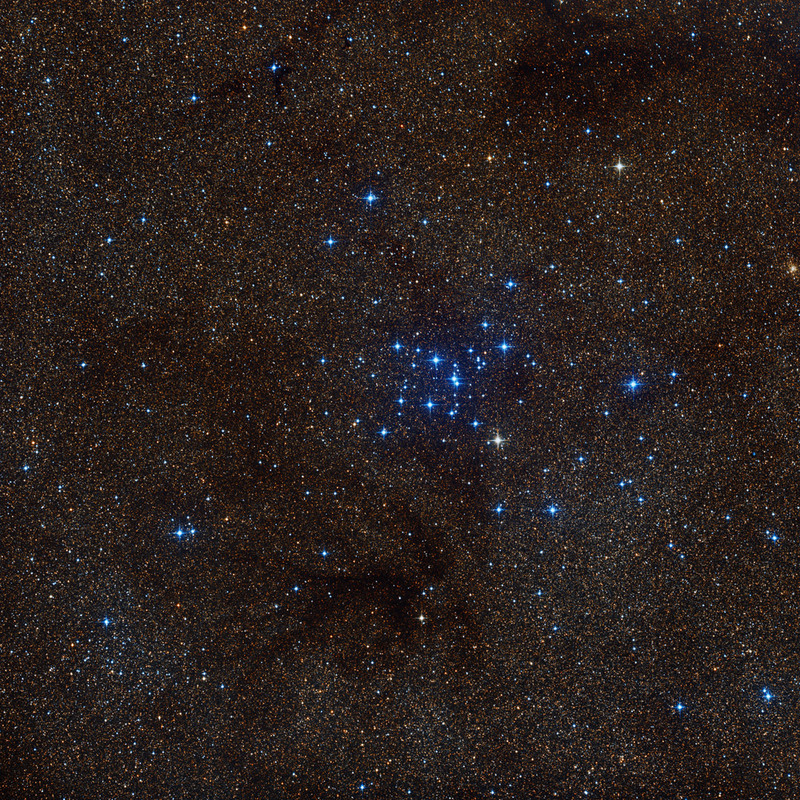 The age of the cluster is estimated at 200 million years. R:3x5min, G:3x5min, B:3x5min, Bin 1 Total Exposure Time 45 min.